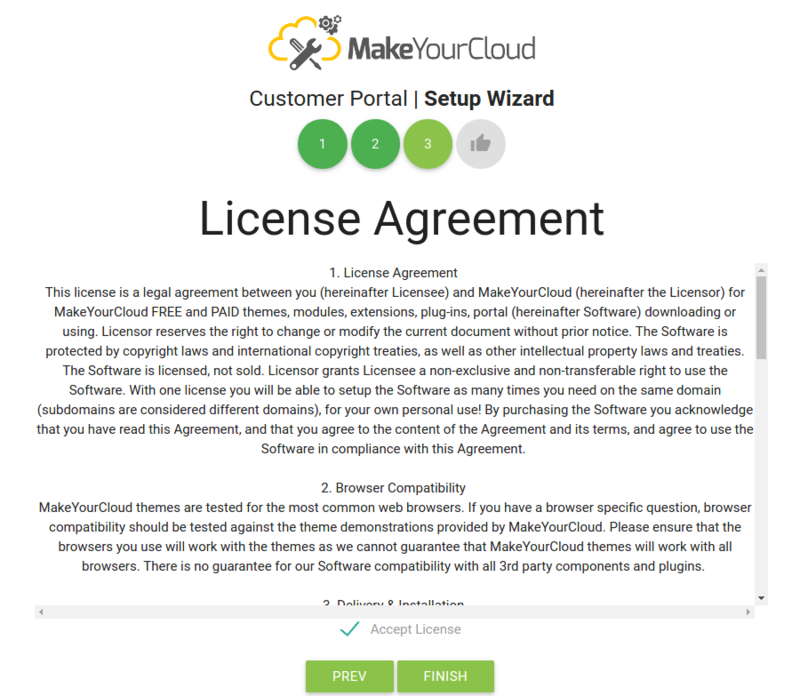 You should see now the pre-installation checks page, if all the requirements are met then you can proceed with the software setup, put your license key on the bottom box then press the install button. 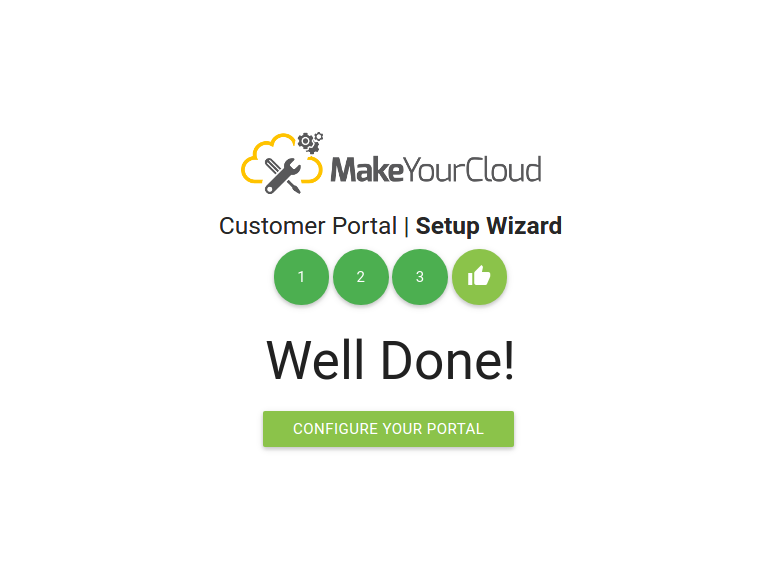 At the end of the installation setup, you will be automatically redirected to the first configuration wizard. 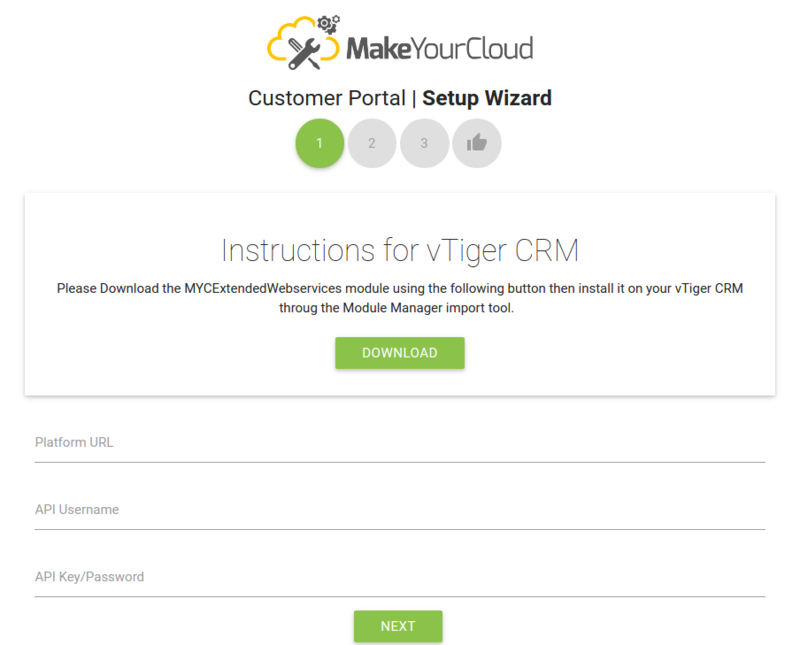 Insert your CRM USERNAME taking the username of the user you want to use as a portal user from your CRM instance (you should create new user in your CRM so you can better manage his privileges). 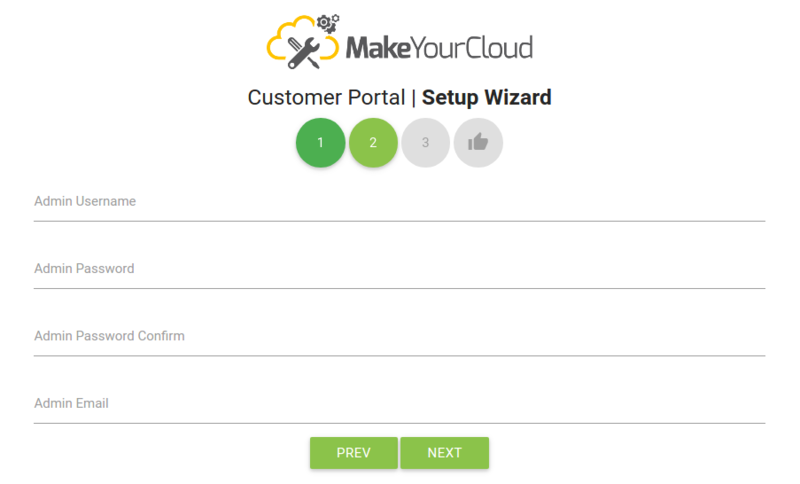 Insert your CRM API KEY taking it from the user profile page of the user you want to use as portal user from your CRM instance.